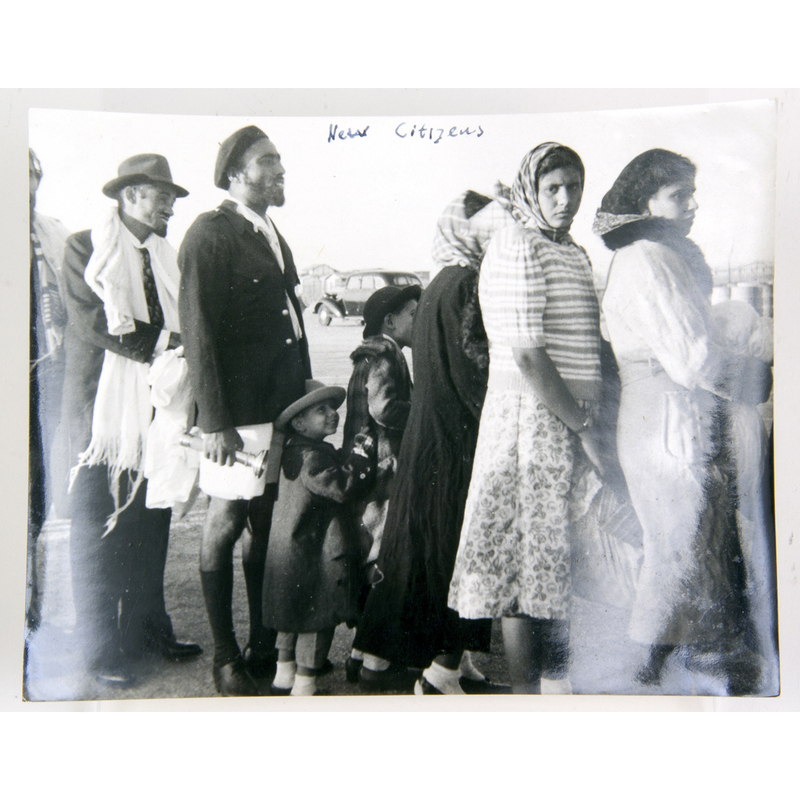 Men, women, and children newly arrived in Israel, standing in line, facing right. Part of Kitty Groen archive. Dimensions: 4 11/16 in.x 6 in.